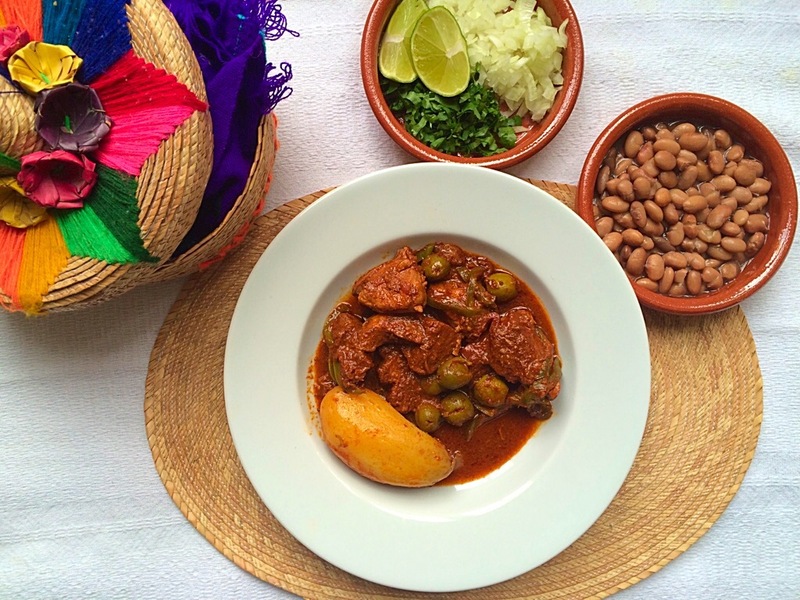 Today I am cooking “Beef Birria” at home, it has been raining all afternoon and the hubby and I fancied something wintery, so I remembered this very nice recipe for a birria and to have with it, I did this very easy spicy avocado salsa recipe that my dad used to make at home. My dad was the king of the salsas in my family, when he was alive, there was always a spicy salsa on the table in time for lunch. So I hope you like this quick and easy recipe. Add the water and blend until getting a smooth consistency. Serve and eat inmediately to avoid the salsa turning dark. Champurrado is a hot Mexican drink made with chocolate and “atole”. In Mexico we use maize in different ways, the most popular way is masa (lime-treated maize), whit masa we make tortillas, tamales, gorditas and many other dishes, we also use it to thicken sauces or soups, and we also use masa to make drinks, like chapurrado. Champurrado is the mixture of Mexican chocolate and a drink call “Atole” which is a drink made with masa, milk, water and piloncillo. There are different types of atoles: guava, strawberry, vanilla. It is very common to drink champurrado while eating tamales, specially during special ocassions like the Day of the Dead or Christmas. In my family my sister Cynthia makes a very delicious “Guava Atole”, she prepares this drink for Christmas, it is a very comforting drink, perfect for a winter day. I decided to make champurrado at home, it has been raining in London and I feel a bit tired, so I thought to make myself feel better and get into the Christmas spirit, so my son and I will drink some hot champurrado while we make some Christmas art and crafts. Mix the maseca with the 2 cups of hot water until all the lumps have dissolved. If needed, use a strainer to get a fine mixture. In a medium saucepan, simmer the milk along with the chocolate, cinnamon and sugar until it dissolves. This will take about 6-8 minutes. Add the maseca mixture to the milk and stir continuously until getting a smooth runny consistency. Serve in cups and enjoy. If you want to make champurrado for more people, just double the ingredients for every 4 people. This drink has a thick and smooth consistency, if you want it runnier, just add more milk or add less maseca. 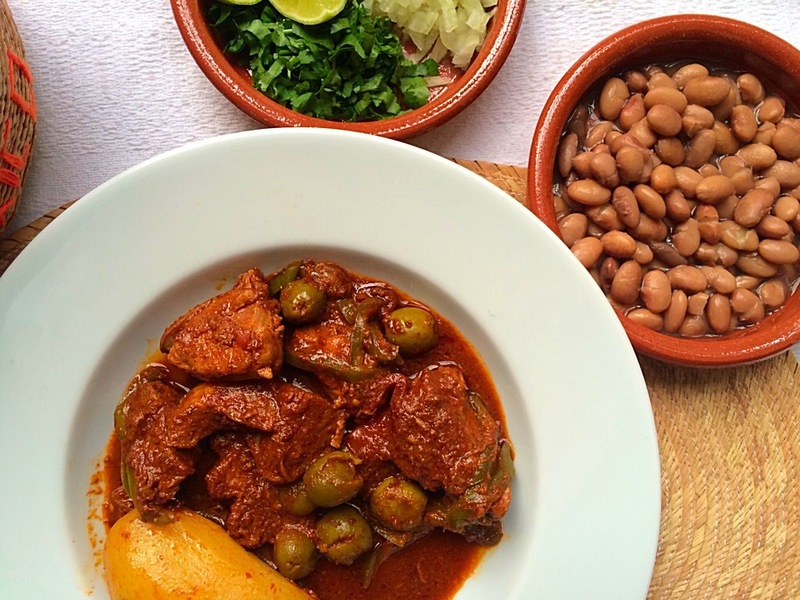 I feel very honoured to be able to share this recipe with you today, this Barbacoa recipe belongs to my brother-in-law’s family, the Armenta’s, who live in Gabriel Leyva in Sinaloa, Mexico, they are a great family of excellent cooks, specially the mother, Doña Hilda, so thank you a million to her and to my brother-in-law and sister to share this recipe with me and to let me share it with all my lovely subscribers. Barbacoa is the method that it is used to cook some meats, it is an old method that goes back to pre Columbian times. In Mexico the states of Hidalgo, Mexico, Tlaxcala and Queretaro are the precursors of a special barbacoa method, therefore we call this the traditional method, but other regions have their own way to cook barbacoa. In the traditional way people dug a hole in the ground, then is covered with stones that are heated in advanced, the meat is seasoned and wrapped in “maguey” leaves, this parcel is placed in the hole and everything is covered very well, making sure the heat is trapped, the meat is left there for hours, so when it is taken out the meat is very tender, juicy and with a great flavour. The Armenta’s family do a similar thing, they dig a hole, but they do not use maguey leaves, they also use potatoes and other ingredients that make their barbacoa special with tons of flavour. Here in London I didn’t dig a hole, I used a casserole dish and my oven, but the results were oh! my! just out of this world! You can eat this barbacoa in tacos, on its own or with some beans and Mexican rice. Believe me, you will want some more and more! Happy cooking! Place all the chillies with 2 tomatoes (cut in chunks), 1 onion (cut in chunks) in a saucepan with 2 cups of water. Put them to boil. Once the water has been boiling for 3 min, remove the saucepan from the heat. Put the chillies, tomatoes and onion in a blender and add the garlic, vinegar and salt. Blend very well until you get a very smooth sauce. Pour the marinate into the meat and add the spices: bay leaves and pepper corns. Marinate the meat and leave it over night or at least for 4 hours in the fridge. After the meat has been marinated, heat the oven to 230 C or gas mark 8 and start assembling the barbacoa. In a large casserole dish place a bed of meat, then scatter some onions, tomatoes, green chillies, olives and some of the marinated, repeat this process again and place the baby potatoes on top of all the meat like in the picture. Place the casserole dish in the oven and after 25 min low the heat to 190 C or gas mark 5 and cook for 1 hr 50 min on that temperature or until the meat is very tender. Check the meat half way to the process to make sure it hasn’t dried, if it has, just add 1/2 cup of water. Serve it in a plate with some “de la Olla” beans, Mexican style rice, chopped coriander and onion, lime, spicy salsa and warm corn tortillas. If you want to make this barbacoa for a bigger crowd, just multiply the ingredients for every 1.5 Kg of meat. If you can’t find Anaheim chillies, it is fine to use only guajillo chillies. If I have to choose a Mexican dish for a winter day, I would choose pozole, any time and in any style, pozole rojo (red), verde (green) or blanco (white). 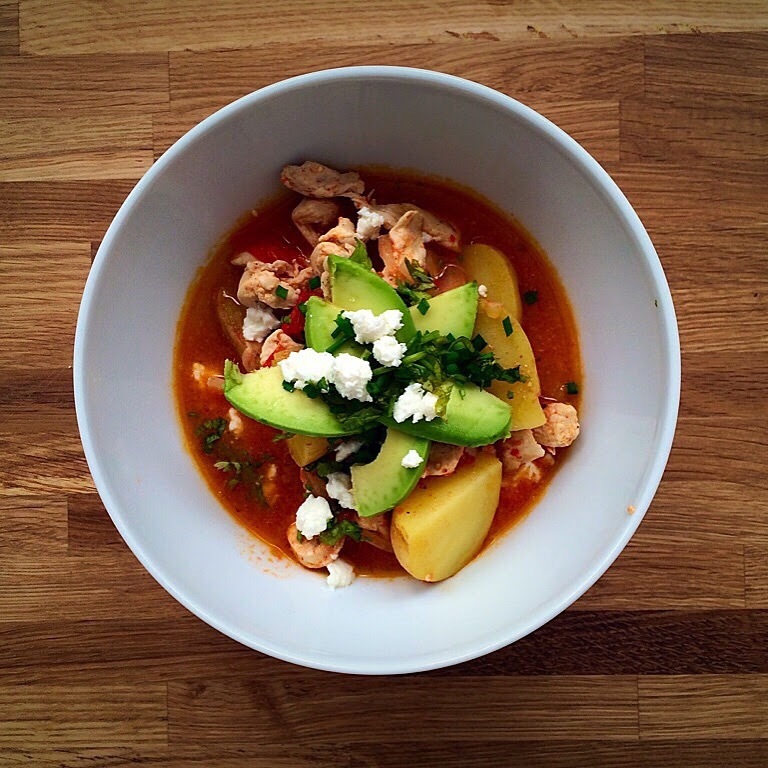 I love pozole, it is such a nice cosy dish for a cold day that I love cooking it at home. My hubby and my children love it too, so when I make pozole or posole, I made a lot. 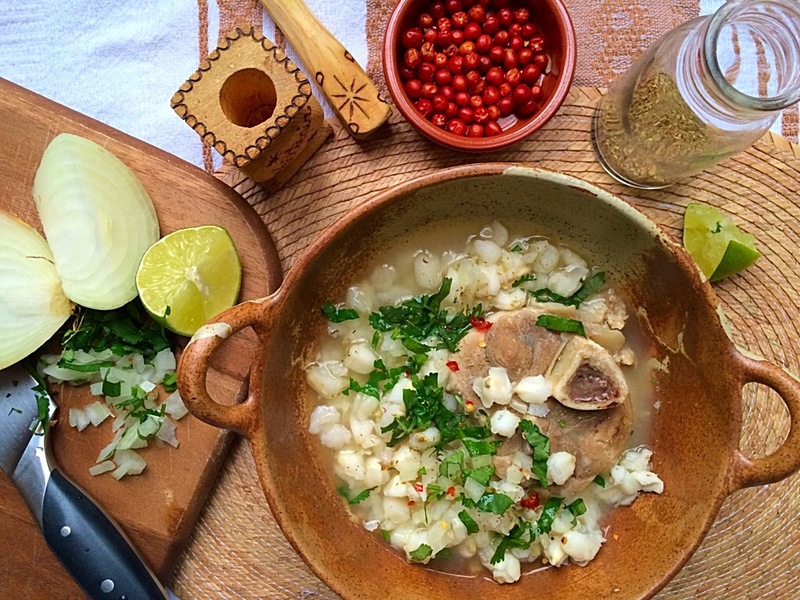 The word Pozole, comes from the Nahuatl word “Pozolli”, which means hominy. 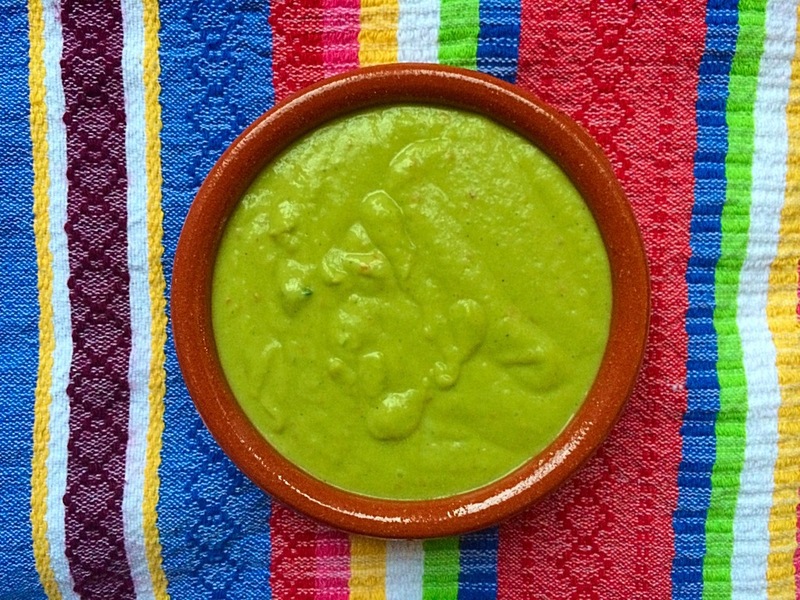 It is a Mexican dish that has been in the Mexican cuisine since ancient times. The Aztecs used to make pozole in special occasions and the dish was share among the people, the type of meat used then was different, it was after the Spanish Conquest that they start using pork. Nowadays this dish is usually prepare in special occasions, like birthdays, Christmas and New Year. In my family we usually have pozole for New Year, my sister Sonia is the one that always makes it, as she has this special way to do it. Today I decided to make pozole blanco (white pozole) and I used pork osso bucco (that is the name for this type of cut), it is a very simple recipe, but it tastes very good. This type of pozole is eaten with chopped coriander, onion, squeeze of lime, some oregano and some chiltepin chilli, in my family we don’t eat it with shredded cabbage or lettuce, like the red pozole. Chiltepin chillies (one is enough as they are extremely spicy, you need to crush them before serving them) or any other spicy chilli or salsa. Place the pork osso bucco in a large casserole dish with the bay leaves, onion, garlic, salt and pork stock or water. Bring it to a boil and low the heat and let it simmer for around 1 and 20 min. Add the pozole grains and cook for 15 more min. Make sure not to cook the grains for too long. Once the meat is cooked with the pozole grains. Discard the bayleaves, onion and garlic. Serve it in a bowl and scatter some chopped onion and coriander, squeeze some lime and add something spicy. Enjoy it with a nice cold beer.